I am under no delusions that I will be all ice cream toppings and cupcake frosting on this trip. I get crabby and when I get crabby I get snarky. Lesson learned from my first real(ish) hike: Hiking makes me snarky. I came on to this project with just enough time to put in my notice at work, get it organized to hand it over to my replacement, and to start getting my living arrangements put in order to move out. Attempts to go hiking have been for naught in these last few weeks. A full time job that runs on slightly off hours and limited daylight hours, in combination with coordinating with someone else’s schedule, has left little time to make it work. In the meantime, the goal for training was to just start trying to use muscles that I have not been accustomed to using in a while. A few games of pool one night, an evening at the rollerskating rink (cardio, right? 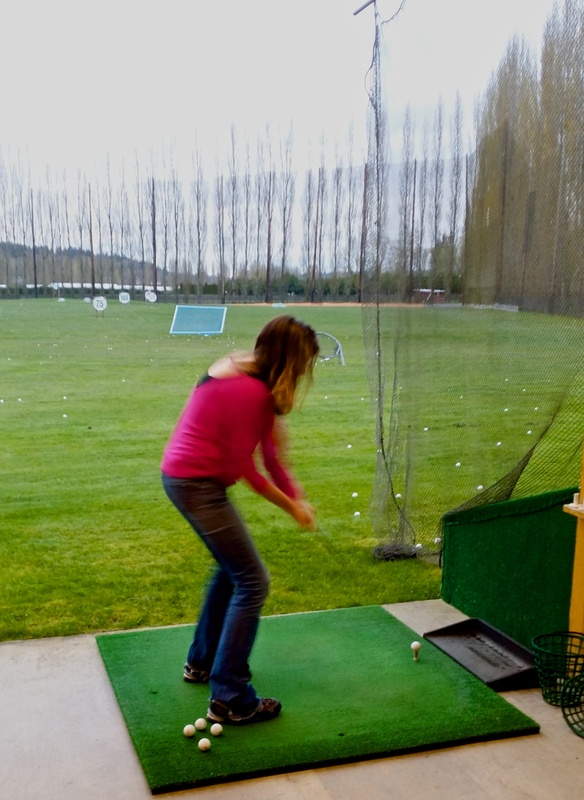 ), some time at the driving range (I was wearing the hiking boots, so it counts), and a Pilates DVD that my friend, Janelle, gave me more than ten years ago that I never got around to using. With finishing my last week of work, and going into the homestretch before we leave, Luke finally got me up on a bit of a mountain yesterday. Three miles up and three miles back, with an elevation of roughly 2100ft. Not exactly death defying, but I had to stop a lot and I was more than winded by the time we reached the top. Oh yeah, Captain Wilderness? Well, you are spending your time standing on top of the easiest hike in the area pointing that out to people. Time well spent? Fancy that, we have a scholar in our midst, ladies and gentlemen. I was, also, informed on our hike yesterday that there is no real endgame on our hike through the Himalayas. Not sure why I thought there would be mostly up for the first two-thirds or so, and then mostly down for the remainder. Nope. It is up and down multiple thousands of feet of hiking, every day, for the entirety of the three weeks. So…there’s that. It is Tuesday. We fly out on Saturday.